So you’ve found HubSpot - congratulations - and are now evaluating whether it's right for you. Or you are using it and it just isn’t quite working . . . The thing is, HubSpot is a big investment and you need to make that investment work for your business. We’ve been there and have the scars to prove it. This resource is designed to help you learn from our mistakes and figure out what you need to put in place to make HubSpot and inbound marketing drive growth for your business. HubSpot is both a platform and a structured approach to inbound marketing. In other words, it's software that is designed to transform the way you work and that means the investment isn’t simply financial, it's also about time. Contact forms filled out on the website have gone from several per month, to several per day. It took us a year to get the HubSpot system embedded in the business and two years later, we are in the happy position that the majority of our marketing leads come from organic search. No tricksy black hat SEO or eye watering PPC budget, just organic search. We’ve been recommending HubSpot since 2012, so we took it as a challenge to put it into practice. We were already blogging and doing social media, so we thought the transition would be easy. But OMG we were wrong! If you are just starting to implement HubSpot you will know just how difficult it is to get going. The good news is that it's like a flywheel - it takes ages to get any momentum, but when it's going, it's going good. If you are considering investing in HubSpot, then be warned, it's not a quick fix. Here are some top tips based on our experience of embedding HubSpot into the business and supporting a number of clients to do the same. Our first mistake was trying to share HubSpot implementation across the business. This probably doubled the amount of time it took us to make it work as it was never anybody’s priority. Inbound marketing is built on good content. So, not only do you need someone to make the CRM work in the first place and follow up leads, you need someone to plan and own your HubSpot content strategy. Good inbound marketing is driven by great content. And no, this isn’t 300 word puff piece opinion blogs, it’s useful, in-depth, valuable content. It is aimed at people who have problems in the real world that can be solved by your business and it means you giving away some of the mystery of what you do. Good content takes time to write, as does building a strong and trusting relationship with your potential customers. Finding time to do this has been tricky for a number of our clients as they don’t necessarily have a marketing team, or if they do, the marketing team is stretched across all platforms, not simply online. However, in all cases there is someone at a senior level championing HubSpot - without this it is dead in the water. Obviously - they are our clients - they have used an external agency to bolster the resource required to implement HubSpot. Whether they are using external content writers or getting support on making the software work, they are getting insight into how to do things right first time. We didn’t do that, so it's taken us longer to make HubSpot work for us. In fact, it wasn’t until we made this a core responsibility of our events & marketing manager and gave her a dedicated resource to write the content did it really start to work. We now treat Noisy Little Monkey as if we were a retainer client. This has been the perfect experience to enable us to coach others. Having someone responsible for planning campaigns and accountable for delivery is vital. HubSpot is an investment but the inbound methodology doesn’t work by magic, it needs an internal investment in time and effort. Buyer personas are absolutely integral to HubSpot implementation. If you are going to create a valuable website, you need to know who it is valuable for and allow this insight to shape everything you produce. We did personas very early on and then re-visited them 18 months later. Our initial set of 5 (3 positive and 2 negative personas) was enough to get key elements of HubSpot in place. Our mistake here was that only one person developed them in the business (as at the time we thought that was the most time efficient way of doing it). 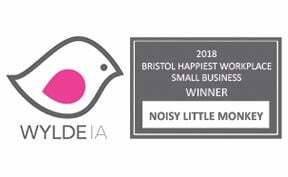 However, as everyone at Noisy Little Monkey contributes to the content on the website, we didn’t have a consistent approach because there wasn’t a common understanding of who we were writing for. When we redid our personas later, we made them significantly more granular and involved more people in the business in the process. This gave us a much better idea of all the different types of users of our website, but we lost focus. You simply can’t ‘target’ a website around 12 different personas! We use the lessons learnt from this experience to advise our clients in their decision-making process. When the MD or business owner says s/he is the only one that needs to be involved in defining buyer personas, we try and talk them out of it. You can involve all sorts of staff in persona development, including people taking customer service calls or in client-facing teams. In fact, the more client-facing they are the better: clarity about real world customers makes a huge difference and turns personas from a creative writing exercise into a living guide for inbound marketing. Many of our clients come to us with high level personas in place already, and we encourage them to take those pen pictures one step further. You want to have clear pain points and issues that you can solve. You need enough different personas to give your site reach and variety of content, but not so many that your content becomes diffuse unless you have a diffuse business. If you have a number of different departments with different target audiences - I’m thinking about you professional services - then you’ll need to develop personas for each. You will also need to develop a writing framework so that you embed SEO across all your content and your website pulls in one direction from a search perspective. We write for three key personas. This might be different for your business. Personas give you clarity on the content and services that your target audience is interested in. The key question is: which persona do you most want to attract to your website, either for your future business or your current bottom line? Our first HubSpot content plan followed the heady formula of a content offer (a downloadable piece of content such as an e-book or template) accompanied by 15 blogs. This is a formula we have continued to use with clients to great - but exhausting - effect. Having a well constructed content plan was a big step for us. Previously we’d done lots of blogging, but it was random, based on who had time and what seemed prescient. Having a plan meant we had a structure and clear input measures. Our first plan was based on a three month cycle of activity triggered by publication of the content offer and ending in an evaluation. We aimed to write all the content upfront and then start the next campaign as soon as the first one started rolling. Simples. It started so well, we agreed on a content offer, did all the search term research, agreed 15 blog titles, produced a publication schedule over three months and started writing . . . However, the content offer took so much longer than we expected to produce and as we started to publish the blogs we realised that we’d need to rewrite half of them, because we were learning from the analytics what worked and what didn’t. Rather than a sharp three month delivery cycle, it probably took us 5 months to complete the first one, and another 4 months to finish the second. You realise that - OMG - 15 blog posts are a lot to write . . .
As you get into the swing of campaigns, their substance changes and you will do it differently. Right now, rather than doing one campaign after another based on a three month cycle of activity, we are running three campaigns concurrently, modelled on HubSpot’s pillar content strategy. We are also beginning to do more video rather than blogging, and are producing ‘mini content’ offers when we are asked for resources by clients as we know these are valuable even if they don’t fit into a plan. The point here is to have an outline plan as without a plan you cannot hope to succeed. But it is just a plan and it should move and shift, especially the first time. Don’t stress about the plan changing, but focus on the results and your audience and do what works for them. After a year, the way you plan campaigns may be different. One of the things that most attracted us to HubSpot was the measurability of the tool. Being able to clearly see leads coming in and the contribution of the campaigns has been a motivating factor to keep us on track. However don’t give up Google Analytics just because you have HubSpot! Google Analytics is the tool we used to track down strange spikes in traffic and remove ghost referrer spam so that we have clean numbers to compare our website before and after HubSpot. We’ll also have long term consistent measures in place if we ever decide to move away from HubSpot. However, don’t forget to annotate Google Analytics when you launch a campaign as that’s a really useful piece of information. Getting Analytics and HubSpot to broadly match up will mean you can trust your data and use it to make decisions. Our clients have such widely different understanding and use of their data. In some cases, as long as the graph is going in the right direction, they don’t care; others have detailed figures they are working towards. Having SMART goals before you start is absolutely critical, otherwise you don’t know what you are working towards. We define SMART goals with our clients, even before we do personas, because this allows us to evaluate the feasibility of their aspirations. If we fall behind against our expected performance, then we reflect on it . . . what else needs to happen to make the figures move in the way we’d expect? Is it the CTAs? Or something more fundamental like the domain authority? Perhaps a different kind of content is needed to reach the audience? Inbound marketing works best if you are committed and focused. Key to that is having a content plan linked to goals which are regularly reviewed using trusted measures. This gives you a pulse - a momentum and commitment - together with a mechanism to ensure you keep evolving the plan against performance. It's fair to say that for the first two years we followed the HubSpot model religiously. However, there came a time when we realised that we are not only our own best client, but we are also our own best expert. We know vast amounts about SEO, about content, about what works, but rather than trusting our own instincts we were still following the HubSpot script. Right now we are trying to loosen up a bit and try new things. We are still producing heaps of useful content, but we are thinking differently about how to present it and the overall impact on our website. We felt that our focus on linear campaigns rolling out one after the other meant our blog feed had become really DULL. We don’t have a huge content marketing team like HubSpot, so our challenge is to infuse our content with more life and value given the resource that we do have. We have a couple of clients that have also reached this point. When we’ve stopped to review the activity after about a year or so of working together, we’ve decided that although it's working, our future plans need to reflect changes in the business and/or the wider industry landscape. At this point, we’ve gone back to review personas and the SMART goals. The inbound methodology works, but that doesn’t mean that you shouldn’t experiment and tailor it to work for your target market. If the flywheel effect hasn’t kicked in yet, why is that? Lack of resource? Lack of commitment at a senior level? Misunderstanding about the market? It might just be that you need some external input to spot the thing that you are too close to see? If you are working with an agency or implementing HubSpot in-house, it's vital that once it's working you objectively take stock, review your results and its impact. HubSpot and the inbound methodology is a work in progress - over that year or so you will have learned a lot about how inbound works in your industry. One of the things we love about HubSpot is that they are constantly innovating - developing new areas of the product and building partnerships with other cloud based software platforms. Now we have the mechanics of working, we are looking at how we can integrate the platform more fully across our processes. If we are invested then let’s utilise it to its full capacity. For example, we don’t only use HubSpot for marketing, we use it for recruitment. Our jobs are advertised via the blog and the application process is handled through HubSpot forms and workflows, using smart lists to output a spreadsheet for candidate tracking. We signed up for Sales Pro fairly early on and this has absolutely revolutionised our sales processes. The sales workflow automation tools are amazing and have been integral to translating our increase in enquiries into an increase in invoiced business. We are about to integrate our quoting software with SalesPro, which theoretically will provide a seamless data flow from initial enquiry, through follow up, quoting, initiating the project and invoicing. Mostly through our existing software tools and at no extra cost. We’ve experimented with project management systems that integrate with HubSpot. So far, it's not a happy story, but when we find one that works we’ll let you know. We do successfully use the Eventbrite integration. Having said that, we’d recommend getting the basics in place first. The danger is that by going off in a million and one different directions you don’t get the core inbound marketing elements working correctly. We’ve seen this with a couple of clients where someone senior has bought into the bells and whistles rather than the engine. In these cases, we’ve worked quietly alongside the marketing team to ensure the engine is fit for purpose, whilst they push forward the more visible elements. Of course, some clients aren’t interested in the inbound marketing elements, and they want the sales enablement tools. However, the principle is the same. Get the business critical tools working first! Longer term, our aim is to reduce double handling of data and I’m sure HubSpot’s aim is to ensure they are so embedded in our business that we can never leave. Fingers crossed these two aims are met! HubSpot can do so many things . . . but focus on implementing the business critical functions first. These are your quick wins and where success lies. Once the engine is running you can more easily integrate other businesses processes. Ideally everyone involved in your inbound marketing should do the entry level Inbound Certification. This gives you a common language to talk about what you are doing and why. If you can’t get them to do the certification, you can distill down key elements and train them yourself. If it's your job to make HubSpot work, then invest the time in the other certifications - eg Software Certification - as it will give you confidence that you are using the tools to their full capacity. If you are trying to incentivise your staff to do the certifications, then we linked pay rises to certifications, which seemed to concentrate everyone’s minds fairly quickly. Generally we insist new recruits get the Inbound Certification before they arrive and have completed the software certification as a key output of their probation period. Watching the videos at 130% speed and taking notes is the best way to get them over and done with! A HubSpot User Group (HUG) meeting might just be the support you need. 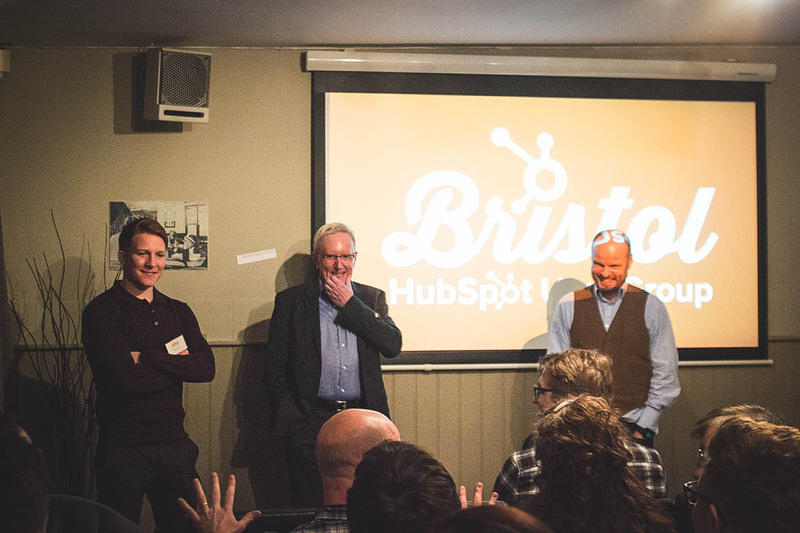 HUGs are run by HubSpot partner agencies across the UK - we run the Bristol HUG. This quarterly meeting gives us the opportunity to link together HubSpot users so that they can learn from one another, from us and occasionally directly from HubSpot. We attend various HubSpot events and the HUG is a great opportunity to disseminate best practice and product updates. We are always looking for HubSpot users to speak at the HUG - it's great to hear other people’s HubSpot implementation stories, hints and tips. We also love input on what the next HUG should cover, so please get in contact!